Bonsai are subject to the elements when grown outside and the wind has the most potential to cause damage. 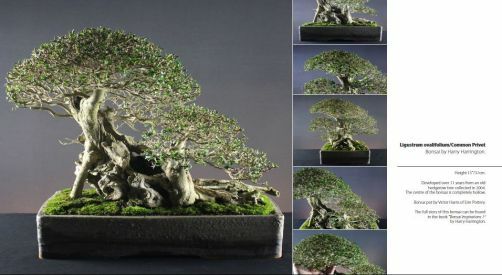 A sudden gust of wind can be enough to blow over and damage a prized bonsai in a matter of seconds. Branches can be snapped, pots broken and trees blown out of their pots. Years of care and development can be reversed in minutes. For this reason, positioning is extremely important. You may think that laying your bonsai beside fence panels will help to protect your tree from strong wind, but this is often not the case. While there is little that can be done about the wind itself, but there are many ways in which the enthusiast can reduce the effect of the wind in their garden and protect their bonsai. Different trees are at greater risk from the wind and in particular, gusts of wind, at different times of the year. Generally speaking, the more foliage a tree has, the greater the risk of it catching the wind like a sail and being blown over; coniferous species are at greatest risk year round, followed by deciduous trees while they are in leaf during the growing season. To begin to understand how to position your trees in your garden and protect them from the wind, you must study from which direction a Southerly, Westerly, Easterly and Northerly wind hits your garden and from which direction the wind is potentially the most damaging. For instance my garden is fully protected from Easterly winds by my house, but I have to be cautious of Southerly winds that gather momentum across neighbouring fields and hit my garden hard. Try to keep track of your local weather forecast so that preemptive action can be taken. Depending on the direction of the wind, you will discover that there are areas in your yard or garden where your trees will be sheltered from the wind and other areas where they are at greater risk of being blown over or damaged. It is useful to understand how the wind reacts to objects and barriers in your garden so that you can place your trees safely out of the wind. In trying to protect your trees, it is natural to try and block the wind with solid barriers and to place your trees against solid objects. However, solid objects do not stop or slow the wind, rather they cause the wind to funnel and become turbulent. As the wind is channeled by a solid object it actually increases both its speed and power. In the diagram above it is possible to see the effect a solid object such as fence or wall has on the wind. On the exposed side (to the left) the wind is typically channeled down and upwards as you would expect. Surprisingly, on the 'sheltered' lee side (to the right), the wind is dragged in a spiral downwards and backwards. The wind speed in this area is greater and more turbulent than out in the open! In the diagram above, the blue area denotes the areas of maximum wind disturbance around a solid object. Turbulence of this kind only applies to plants and bonsai sitting in the lee of solid objects 3 metres/12ft in height or less. The turbulence created by a larger object such as a house is unlikely to be low enough to cause damage. Considering the above diagrams again, the wind blows against a solid object and is channeled downwards and then back outwards into the wind. The larger the object, the greater the wind force that is collected by the solid object. Positioning your bonsai at the foot of a house wall exposed to the wind is not a good idea!